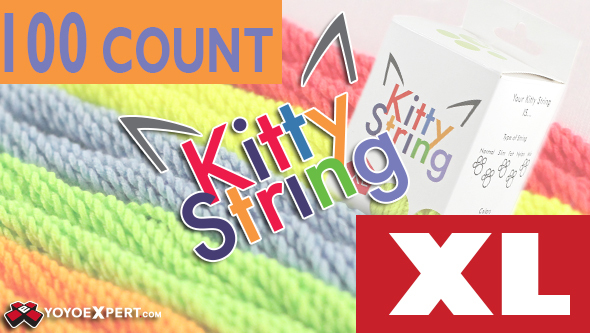 Kitty String - High Quality Extra Large Polyester String! Kitty String XL (Extra Large) is a fatter string with a slightly heavier weight. It is made from a very soft polyester that gives you a smoother feel during play and doesn't rough up your hands as much as some other brands. The XL type is perfect for beginners looking for tighter binds or experts looking for the perfect string for whips and slacks!